One sweet perk of being a food blogger is that companies send you samples of their products. You get to taste them and experiment with them in recipes. Sometimes you get really lucky and discover a product you totally dig. I recently got a box of samples from Kura and, to be honest, I didn't have high hopes. I'm just not usually a fan of protein powders; they're often full of junk or taste nasty or both. 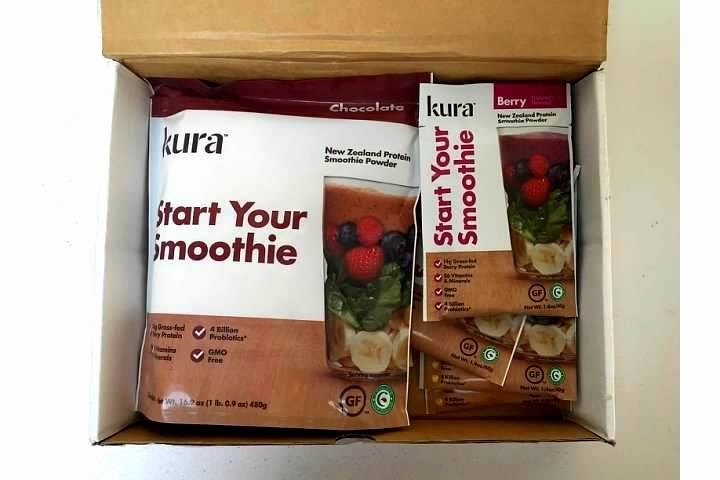 But I read the information about these GMO-free "smoothie starters" and I was intrigued: each serving has 14 grams of protein from grass-fed dairy, contains 26 vitamins and minerals, and four billion probiotics. And they have no added sugar. So, Kura passed the first test: not full of junk. I was pretty sure these smoothie starters couldn't possibly taste good. Wrong again: they're delicious! Not only is Kura tasty, there's no weird texture or grittiness. Seriously, I'm hooked. I think I've finally found a protein powder I can get down with! If you'd like to try a free sample of Kura, you'll get one (and so will a friend) through their "get a sample, give a sample" promotion. I decided to feature Kura in a smoothie bowl. Have you heard about these things? Like a regular smoothie, the bowls are nutrition-packed; this Almond Joy smoothie bowl has loads of potassium, magnesium, calcium, and protein. But instead of chugging it, you eat this with a spoon; because of the texture and the chewing, smoothie bowls can feel more satisfying than a drink. 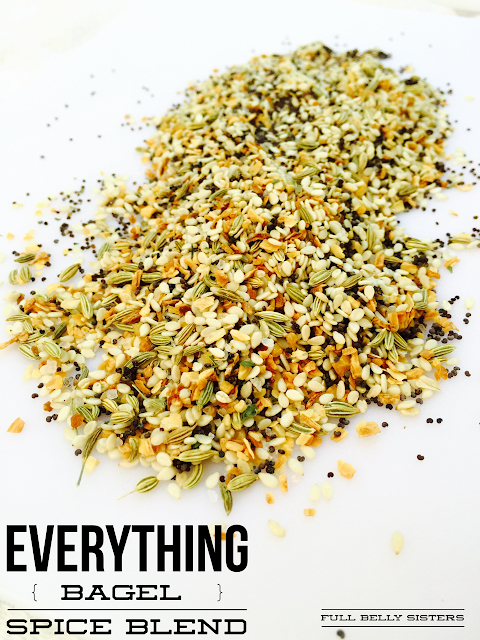 Place all ingredients except the toppings into a high-speed blender (I used my Vitamix) and puree. It should become the consistency of soft-serve ice cream. 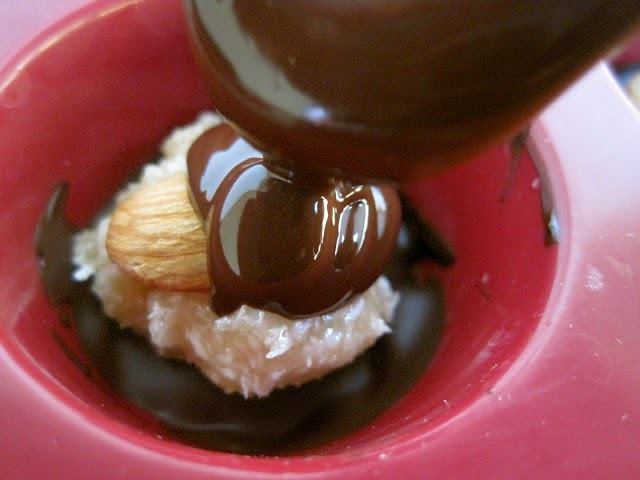 Spoon into bowls and top with the coconut, almonds, and chocolate. If you eat it right away, it'll be frozen and creamy and will be like eating an ice cream sundae. If you let it sit for a while, it'll be more like pudding. Either way: it's like dessert for breakfast and it is DELICIOUS. If you're like me and love the combo of coconut, chocolate, and almonds, try these other Almond Joy-inspired recipes! I could have used this about 25 years ago. But I could probably still use it NOW! LOL, no time like the present! I'm gonna make this for sure. Yummy! I have an almond butter in the cupboard that would work really well in this. It has cocoa and coconut in it.Yummers! And since I've been looking for a new breakfast, this might just be it! Thanks! I haven't done the whole smoothie bowl thing yet but you certainly make me want to try asap! Great looking recipe! Chocolate, coconut, and almonds - what's not to like. Really wanting to make a smoothie bowl and you now have me on the path, looks great! I have heard of smoothie bowls but never actually made one! The texture thing you know? After reading they can have the texture of ice cream or pudding. (Not slimy nastiness.) I may have to reconsider! Yours look fantastic! Sounds gorgeous! I'm needing some protein powders in my life as I'm training at the moment for an epic 200 mile cycle south through the Highlands of Scotland this summer. I tried a smoothie bowl for the first time the other day and I can't say I was impressed with my efforts (it left me still hungry!) but I think the addition of protein powder would sort that right out. This bowl is packed with flavors! I want to dig right into it! This smoothie bowl is looks fabulous and is packed with all yummy goodness!! I will definitely try this one soon.